When my husband and I bought our first house, it came with a garden smack dab in the middle of the backyard. It was basically a mound of dirt with some railroad ties around it, but I was intrigued by the challenge it presented. Could I actually grow some of my own food? And what should I add to my must-have garden tools list? That first summer, I did my best at being a successful gardener. I bought the seeds and starter plants and added fertilizer to the soil before planting. Then I sat back and waited for the magic to happen. And I quickly realized I had made some mistakes – some big mistakes. I spent a few years trying different things and finally found some products that made it much easier. I also started using a raised bed garden. 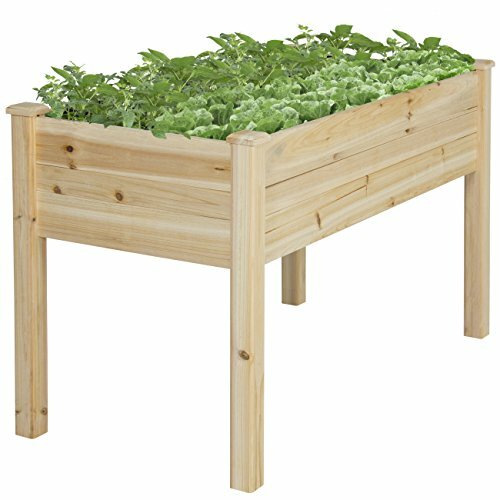 (My husband built me one but there are lots of elevated garden bed kits that make it super easy to create your own.) This solved the rabbit and deer issues we had been having and made it easier to weed. Want to build your own raised garden bed? Here’s how I did it! A greenhouse makes starting seeds and plants much easier, especially for those of us who live in colder climates. A beginning gardener can definitely get by with a smaller, portable greenhouse. Once plants have become established and the danger of frost has passed, plants can be transplanted into your garden and the greenhouse stored away. The first time you purchase compost, you will begin to look at all of the food scraps you throw away every day in a new light. It seems like a huge waste to actually buy compost when it is so easy to “make” your own by recycling the leftover foods like vegetable peelings and egg shells that you usually throw away. In order to make composting quick and easy, I use a compost pail to collect scraps in the kitchen and then empty it every few days into a larger compost bin out by my garden. The hula hoe is one tool I wish I had discovered earlier! It makes weeding a breeze with its long handle. You can use the flat blade which swivels back and forth to slice weed roots and rid your garden of them for good. It’s narrow enough to fit where many other tools won’t. The blade is easily replaceable and pops on and off without a struggle. Gardening gloves help keep your hands clean as well as protected from any thorns or insects. I prefer nitrile coated ones as I find that they last longer and keep my hands cleaner when working in damp soil. While I love gardening, I hate getting dirt under my nails, so I always buy several pairs of gloves at the beginning of the season. They also help prevent blisters when working on a larger plot. A good hand trowel is a must have for any gardener. Whether you are using it to dig a small hole to drop your seeds into or gently transplanting a seedling, look for a trowel with a comfortable grip and rust resistant metal. A good pair of pruning shears makes gardening much easier. Believe it or not, you will get to the point where you will actually need to trim some of your plants back a bit. (Hard to believe when the tiny shoots are first poking through.) Sharp pruning shears will not only make the job easier, but they will do less damage to the plant and help it stay healthier. Sometimes it seems like every other plant in the yard gets jealous of all the attention you are giving your garden and attempts to grow there as well. I couldn’t believe how fast the grass in my lawn started creeping into the garden around the edges! A good border spade will make edging a breeze and help your garden stay sharp looking. One of my favorite gardening tools is a simple watering timer that ensures my plants get their daily dose of water every day even if I get distracted or am travelling. Skipping the important step of watering your plants is the most common way to derail your entire garden. By setting a timer, you can make sure this important step is never missed with only a small amount of effort on your part. Whether you are an experienced gardener or one just starting out, having the right tools makes the process easier, more enjoyable and much more productive. 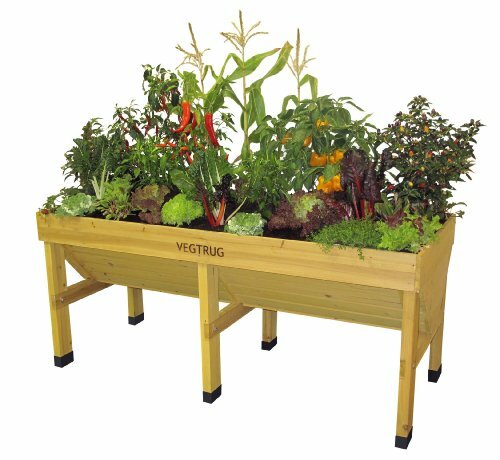 With this must-have garden tools list, soon you will have more vegetables than you can eat! Oh, I love this. I am fascinated with gardening and I just love everything about this. I need to have the watering timer. Great tool list. Could be really useful for me when the time comes for me to start gardening. Will bookmark this. 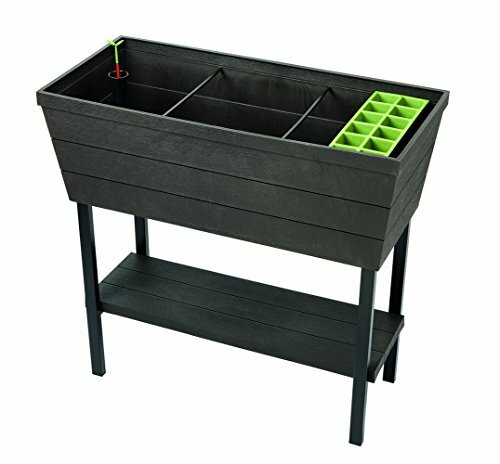 I’ve always wanted to have my own veggie garden but wasn’t sure how to go about it. These tips are so helpful. Having the right tools can help set you up for success. I totally always want a garden but never get around to it. This year is going to be different. This is a great tools list! Well, that hula hoe and water timer are two things I have never heard of. My mother use to weed her garden constantly and that is when I decided the farmers market was easier, before I even tried. My daughter on the other hand tries so hard and the animals eat the fruits of her labor. I have since told her about the raised beds, although, not the hula hoe or water timer. She works, tends to her family and is in nursing school. She needs all the easy she can get. My husband does a lot of yard work to keep our yard trim and clean. I would like to have a vegetable garden in the back where the grass has not grown the last few years, maybe this year. Great suggestions! We made the mistake of not using an elevated bed with our first garden and it failed miserably! I will definitely do more research before our second attempt. 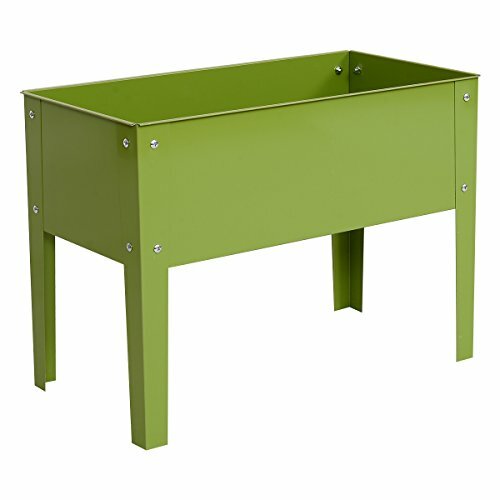 Our growing season starts very early here, so I don’t need the portable greenhouse, but I love to plant in raised beds. I love those extra high ones! I’ve always wanted to be confident in growing a good vegetable garden. I can appreciate a list like this to give me that confidence, like a portable greenhouse. I really would love to have an elevated garden bed. I think it would make it so much easier than my current square foot beds. I also need to get more topsoil for them. I am so excited for gardening weather! Great suggestions! I’d like to start my own garden. Will keep these in mind. So many good suggestions. I can’t believe it’s about to be that time again. I am definitely excited. Talk about much needed gardening tips! I think these are really important to take note of especially if you’re like me who can’t seem to let plants live! Lol.